Ultra-Large Machine for Machining Massive and Heavy Workpieces. 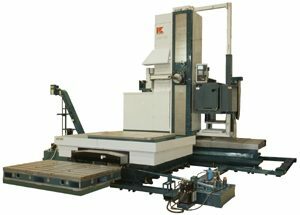 An optional rotary table is available for multi-face machining. Reducing the X- and Y-axis travels can attain better cost performance than a conventional floor type machine.